With no road access, no power, no water, and up to a 3-meter snowpack every winter, have you ever wondered what it takes to build a backcountry lodge in the mountains? A lot of passion long days (that the sunsets more than made up for). Here’s how we did it! As we began to build Mallard Mountain Lodge in 2013, we reflected on the values of our company and operation. The lodge needed not only to fit naturally into the environment but complement and enhance the beautiful scenery surrounding it. It would need to create a warm and inviting space for guests with ascetic appeal, functionality, and with as low an environmental impact as possible. Preserving the feeling of being remotely situated in the Canadian Rockies meant that all materials and equipment would need to be flown in. This was not only a considerable logistical challenge, but was also a contributing factor in all decision making; Location, size, and desired amenities all needed to be taken into account to best understand what options were available. 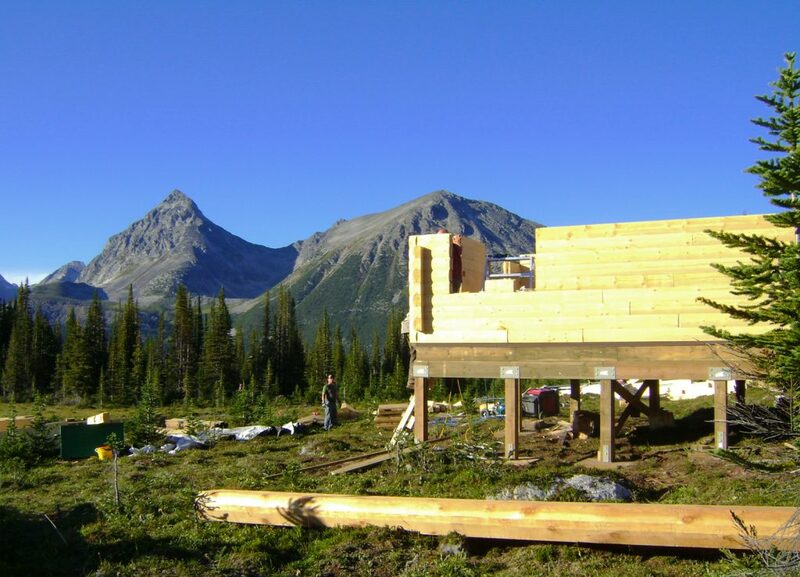 Mallard Mountain Lodge was built using manufactured Yellow Pine, locally sourced from the BC interior. Compared to other building options (timber-frame, full-log, or prefabricated kits), the manufactured log was not only fiscally appealing but also kept the ascetics of the full-log and requires less maintenance and long-term up-keep. Pre-assembled off-site, the lodge was then deconstructed and reassembled on-site, reducing environmental impact, time and cost. 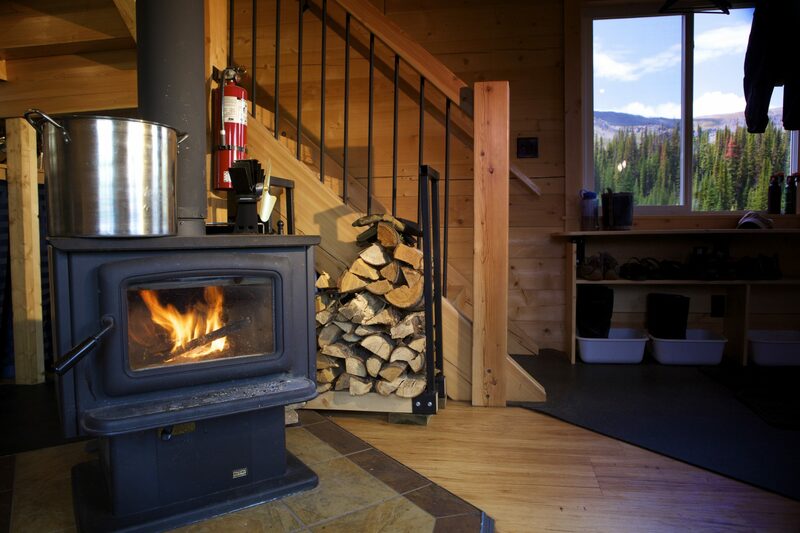 The Yellow Pine log fits into the natural environment and provides a warm and inviting space within the lodge. It is extremely efficient in all temperature ranges, keeping in warmth in the winter and staying cool in summer. 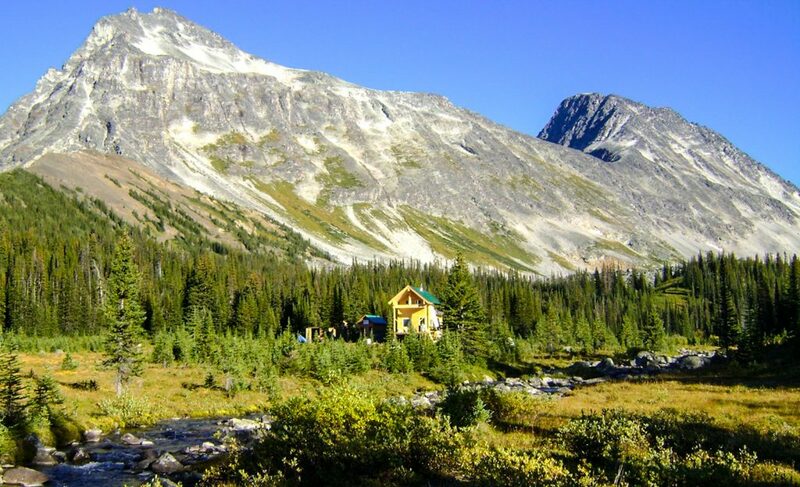 Mallard Mountain Lodge is situated in the high sub-alpine just above the treeline with access to an abundance of natural resources including wood, water and solar. Taking advantage of these resources in an environmentally sustainable manner was a fundamental cornerstone of our operation. 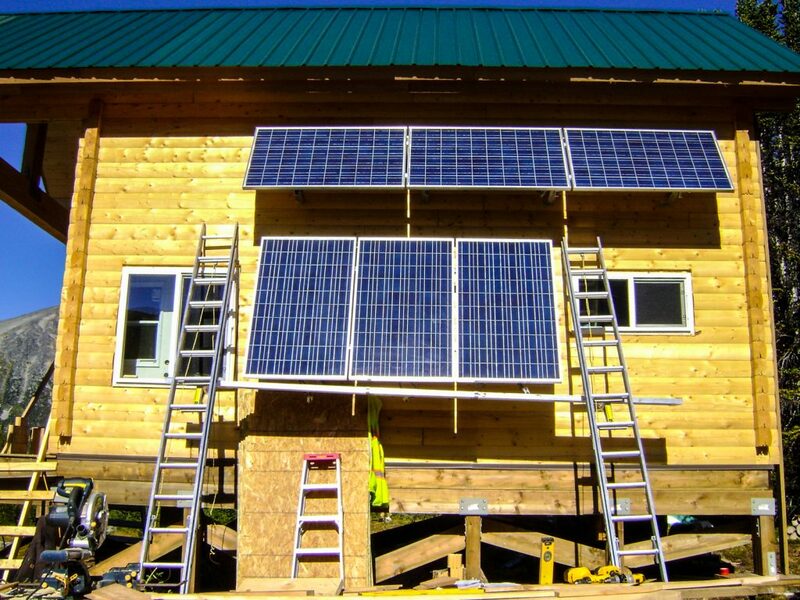 Where electricity needs are met by solar, wood remains the primary source of heat. Firewood is sourced locally from around the lodge site, using environmentally sustainable practices. Standing-dead is taken first, and then selective harvesting where needed is done in areas to promote new growth in future years. Sourcing firewood onsite reduces the need for fuel or other materials to be flown in, minimizing cost and environmental impact. Water is sourced directly from Mallard creek only a few meters from the lodge. 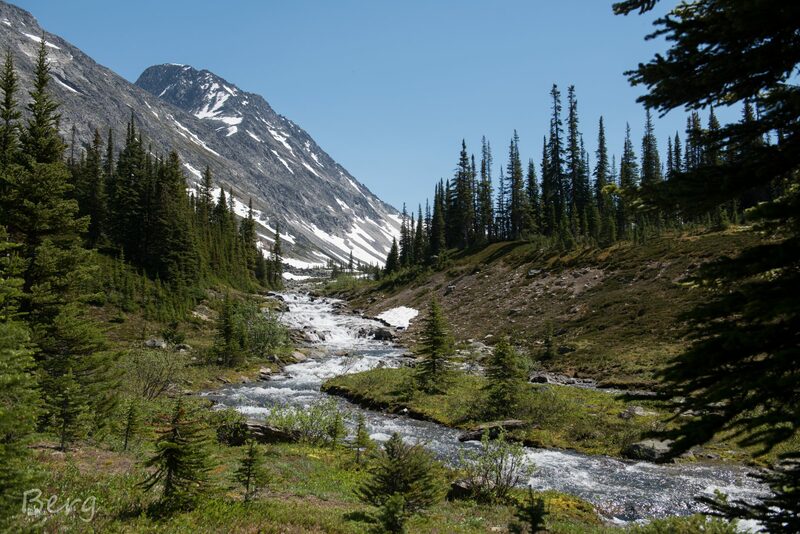 The creek is easily accessible and flows steadily year-round, providing a reliable source of clean fresh water. Water is pumped directly from the creek into 25l containers, brought to the lodge and used for cooking, cleaning, and bathing. Drinking water is passed through a 4-part gravity-fed charcoal filter ensuring we have plenty of cold, delicious, and safe to drink water. All other garbage and recycling is flown off the mountain and disposed of in proper facilities. 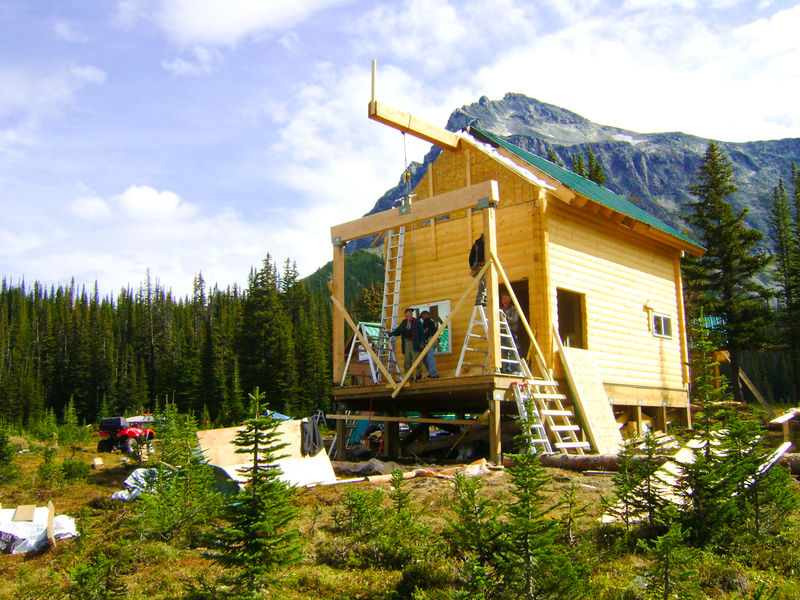 The Mallard Mountain Lodge, like all labors of love, is an ongoing project. Each year new projects are started and completed, and each year systems are modified to improve the overall efficiency and performance of the lodge. Enhancing the experience of every guest, while maintaining and enhancing the natural surroundings is the primary consideration in all of our decisions.